Sealaska’s spring shareholders’ payout is more than twice the size of the previous year’s. The Southeast regional Native corporation announced Friday it will distribute $23.1 million to tribal members beginning April 13. Last spring’s dividends totaled $10.6 million. The Juneau-headquartered corporation has more than 22,000 shareholders, almost all of Tlingit, Haida or Tsimshian descent. 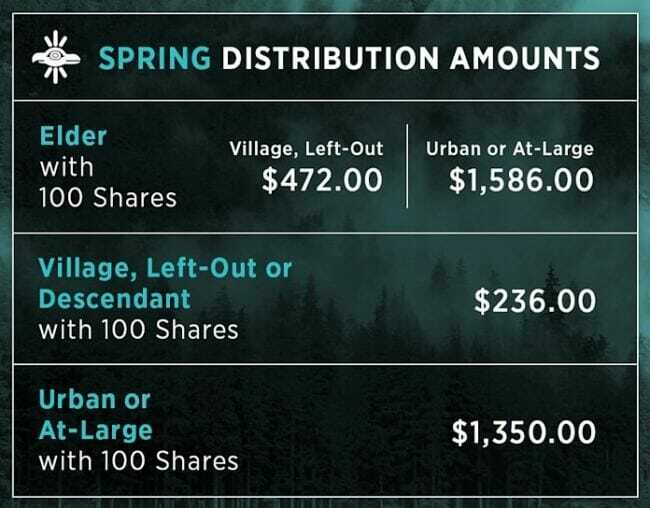 Dividends will range from approximately $236 to $1,586 each, depending on the class of shares and the number owned. In a press release, officials said the corporation is also investing more money into its scholarship endowment. President and CEO Anthony Mallott cited rising costs for secondary education and the need to advance shareholders and their descendants. The corporation’s board will also look into creating a burial-assistance program. Some Sealaska critics have lobbied for the benefit. Officials cited increased business earnings as one reason for the larger payout and scholarship increase. Sealaska began investing in Seattle-area fish-processing businesses in 2016.